Dunkin' Donuts is getting a rebrand this month. 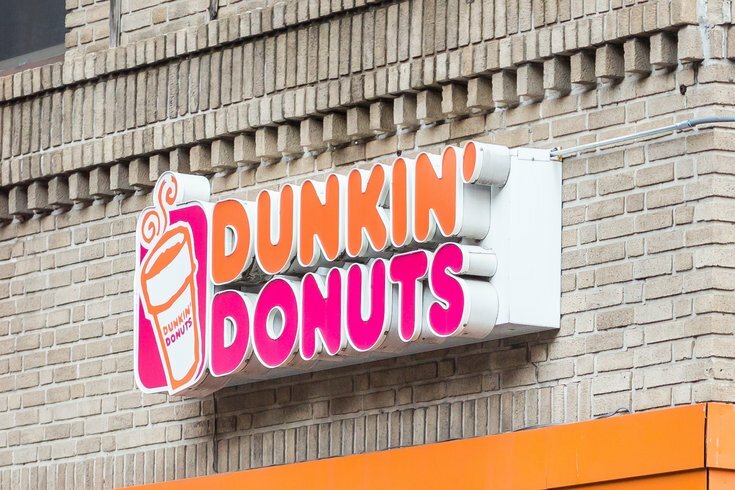 The coffee and breakfast food chain is dropping "Donuts" from its name, leaving it as just Dunkin' on all of its locations and merchandise, starting in January. But don't worry, sweet breakfast lovers, its donuts aren't going anywhere. Apparently the retailer sells 2.9 billion of them (along with Munchkins) every year worldwide. So rest assured, they are safe. The change will help transition the retailer into selling more foods than just donuts. On its new menus, Dunkin' is now selling donut fries, breakfast sandwiches, hash browns, wraps, oatmeal, bagels, and muffins. The company tested the name change back in August 2017, and apparently the simplification worked. Oh, and by the way, Saturday is National Coffee Day in Philly. At Dunkin' on Saturday, all hot coffee is buy one, get one free.